ICT Hubs: What makes them work… and not work? Opportunities are opening to young people with high tech skills such as software engineering, design, and development. Many of these skills are being nurtured by Information Communication (ICT) hubs, where technology-oriented individuals gather and collaborate. An ICT hub is a space where technologists congregate to bounce ideas around, network, work, program and design. This is achieved through an enabling environment where community of tech entrepreneurs can grow and innovative ideas can be born from collaborations and the atmosphere of the co-working space. One example of an ICT hub within Nairobi is the *iHub_. Many such ICT hubs are springing up around the world, especially in Africa where last estimates had 46 percent of Africans living in poverty (UNDP 2008). With such hubs being viewed by many as a means towards economic development, it is therefore important to understand what makes these hubs work…and not work. What factors need to be in place to have a tech community flourish with a couple of inputs? What are hubs around Africa doing right? What do they still need to keep working on? What can they learn from each other? 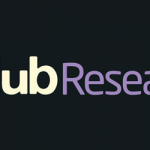 iHub Research is initiating a research series that will disaggregate the unique factors that make up ICT hubs in Africa (Afrilabs). The series will have a special focus on the role of ICT hubs in fostering innovative entrepreneurship. iHub Research will use mixed methods to engage with active members within each hub space around Africa, including focus groups, open workshops and e-surveys. These research instruments will be used to answer the questions below. 1. What impact does the hub have on the individual’s development (skills and personal growth)? 2. What impact does the hub have on the individual’s start-up? 3. What is the significance of the hub community to the individual member? 4. What is the most important factor which makes the members continue to use the space? 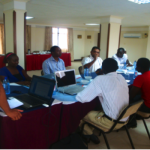 iHub Research collaborates with Activspaces on the ICT Hubs study!